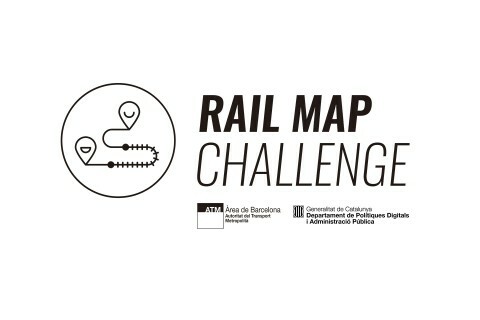 The 5th and 6th of October will be held in the RAIL MAP CHALLENGE, a 24 hour hackathon organized by ATM and SmartCatalonia. It has been creating, designing and programming new ways to interact with the map of the public transport network. railway station in the metropolitan area of Barcelona. The first prize was won by the inLaber MARENOUSTRUM team formed by Sergio Paredes, Gonzalo Recio, Gisela Ruzafa and Josep de Cid. They developed an application that offers a routing system taking into account the accessibility for people with reduced mobility in public transport. The application also offers a 3D visualization of the route adapted within the stop. The second prize was won by the KOALA team formed by Pau Torrents (Fiber), Ester Lorente (ex-inlaber), Marc Vila (ex-inLaber) and Jorgina Arres (inLaber). With the creation of an application that, in addition to the functionalities that Google Maps currently has or the ATM application, offers real-time alerts on the status of the service, showing the best route for the user taking into account the time of transfers.